Started Comic Party, still pretty funny. We watched the Sailor Moon R movie tonight after taking forever to finally get to it. It was so strange watching an accurate English dub for film. It's also amazing at how spectacular the video quality looked considering Viz hasn't been able to properly remaster the TV series for "OH GODZILLA! WHAT TERRIBLE LANGUAGE!". The movie is quite good even if it does still suffer from Toei's cheap animation moments and as always, the soundtrack rocks. I also like how the villains are reminiscent to Ali and Ann from the first arc to R. Overall, an 8/10 movie. Finished Super. A good ending to a decent series. I didn't intend to rewatch Cromartie High School, but after watching one or two of 'em on Crunchyroll I can't stop. I loved this show back when I first saw it on G4 when I was in high school well over (gasp) a decade ago. Looking back at old posts I made, I mentioned the Ai Tenchi Muyo show a few times. 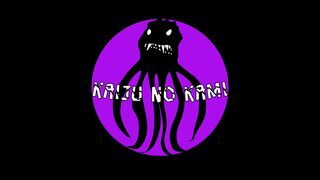 There was a recent announcement that Funimation got the series and is going to dub it. They haven't said who would be the dub cast, but hopefully Matt Miller could reprise his role of Tenchi. Up to disc 3 of Comic Party. Notice that Lisa Ortiz is used as a couple of characters. Caught the first episode of Legend of the Galactic Heroes: Die Neue These. I haven't seen any of the original series, but I liked what I saw in the first episode. I enjoy good space opera and this reminded me of the early Honor Harrington books in tone. I know that the original is out on Hidive but I'm really stretched in both resources for streaming sites as well as time for watching with everything that's out there. I love Escaflowne. It's totally something I should have watched when I was 13 (like a tonal cross between Toonami favs like Tenchi Muyo, Gundam, Outlaw Star, and maybe a little Sailor Moon), but while watching it I can kinda go back to that headspace of being 13, you know? Was that the whole thing or just season 1 of Code Geass? Both seasons. Code Geass may have just replaced Gundam: Iron Blooded Orphans as my favorite "brutally effective" story line. Lelouch was baffling sometimes on how he could treat someone with consideration and kindness one episode and then be a complete jerk the next. Until you found out what his end game was. And then it all made sense. He was protecting them all from the fallout of his time as Emperor. I usually wait a while before re-watching a series, but this one I may have to restart just to catch all the hints I missed. Yep, you read that right. I decided to see what the show was all about when it was airing in Japan and downloaded the raw of the latest episode. It just so happened that THAT was the latest episode. DOH! Anyway, we watched the first five episodes to Sailor Moon today. It's been a while since I've seen it and I really like how things are being developed at a slow paced compared to the non-existent character development rush job that was Crystal. The music is pretty fun and I truly love the dub Viz has done. Their voices are spot on. Started up on Lupin III Part 5. Looks like the focus at the start of the series is cybercrime and how the internet impacts the world of Lupin and the gang. The Lupin Game was a great idea, and I liked how it was handled. Two episodes in and it looks like the magic that they had in Part 4 is still there. Just in case the Akito the Exiled thing is set between Seasons 1 & 2 of Code Geass. I finished Comic Party, I guess I goofed and didn't notice that HPB had stuck disc 4 in disc 3s case, so I watched disc 4 before 3. Also re-bought Lucky Star on Blu-Ray at work (sold my single DVDs earlier). EDIT: Looking at my collection on Filmaf.com, I noticed I have over 120 out of print anime. Watched disc 1 (Blu-Ray) of Lucky Star (10 episodes). Got to the episode where they go visit Konata at her job. Which is a cosplay cafe, and Konata is dressed as Haruhi. They even do the infamous dance. In either language this is a rather fun episode since the voices on both sub & dub are the same for Haruhi & Konata (Aya Hirano in Japan, Wendy Lee in the US). I finished Lucky Star, still say the cheerleading dance on the last episode is the best part. Then I blasted through Sword Art Online 2 via Netflix (they must have added the dub recently). Then tried one episode of Swordgai & Vilolet Evergarden. Both seemed OK (and yes both are dubbed). Speaking of dubs, looks like Ai Tenchi Muyo is getting one with many of the original dub cast coming back. Also Full Metal Panic: Invisible Victory is getting dubbed with most of the original dub cast as well. The first story arc of Lupin III Part 5 is finished. The Lupin Game was a great story line that showcased what fans love about the characters and the way that the gang works together. Ami is an interesting new character who I hope we see more of in the future. I think I might actually like this series more than the last one, and I thought it was great! Well instead of continuing those shows I checked out B The Beginning and watched about 5 episodes. Looks like Death Note crossed with some sort of mythical creatures. I finished season 1 of B The Beginning. Looks like there might be a second season with how season 1 ends. Bought the new Batman Ninja movie at work for about $18 (Combo Pack). Watched it, and it was great. Feudal Japan, Ninja, transforming castles, and some animal buddies. Yes this counts as anime, cause it was made in Japan, directed by an anime director, and even written there. I'm watching My Hero Academia now that it's joined the Toonami lineup. Just in case it's Fry's 33rd Anniversary Sale. No huge deals on anime, except the recent re-releases of the Studio Ghibli stuff from G-Kids. DVDs are $9.99, and Blu-Rays are $12.99. I got Ponyo on Blu-Ray (sold my DVD earlier). In 1992, Toei released a series that would go on to expose audiences across the world to anime. Additionally, they decided to take what was a fast paced, no nonsense manga and turn it into an anime Monster of the Week series ala Super Sentai and Kamen Rider. However, just being influential does not always mean something holds up over time. Does Sailor Moon's first season hold up? Or is it best left forgotten? Watch to find out. I watched some of Sailor Moon when it aired in the US (with the DIC dub). It was OK, I remember really liking Sailor Mercury for some reason. Anyhow, I am watching Sword Gai on Netflix (up to episode 6). EDIT: Just in case it's 20% off weekend at Half Price Books. Also RightStufAnime.com has a DVD sale going on. For its twentieth anniversary, Toei announced they were working on a new Sailor Moon anime. In time it was revealed that this new series would be a direct adaptation of the manga titled Sailor Moon Crystal. How does Sailor Moon Crystal compare? Should we even be grading it based on how it lives up to the original anime or as its own series? Watch to find out.